President Joko “Jokowi” Widodo criticized some people who often waste their energy with unnecessary things, for example by using social media almost every day to mock others, to insult others, to slander others, or to spread hoax. “Don’t waste our energy with unnecessary things like that,” the President said in his remarks at the opening of the First National Conference of the Indonesian Buddhist Union, at State Palace, in Jakarta, Tuesday (9/18). The President added using too much social media for those things have also made some people forget about bigger issues at hand like (tackling) poverty or (reducing) gaps that should be our biggest concern. With too much time wasted on social Medias, according to the President, the people forget that our world is changing today, evidenced with, for example, the rapid development of Artificial Intelligence, 3D Printing, the Internet of Things, Virtual Reality, Bitcoin or Crypto Currency. “We always forget. We are often busy insulting at each other or mocking at each other, or slandering each other,” the President said, adding that those things are not Indonesia’s ethics, manners and value. 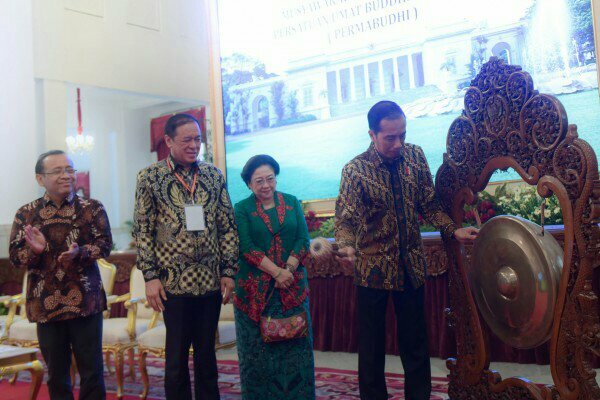 Furthermore, President Jokowi called on the people to be more cautious amidst the rapid changes of the world. “Be cautious, I always remind everyone that we are facing rapid changes today,” President Jokowi said.